I liked the pose so used it as the base sketch for the wall. Time : omiting the week I was on a trip it was done in 2/5 weeks again with lots of pauses since I get lazy too often . Comments and FAVs are appreciated! As I sad at AP, great wall! very different style,I like it ,thank you very much. Looks quite evil, but somehow still make you want to keep looking. 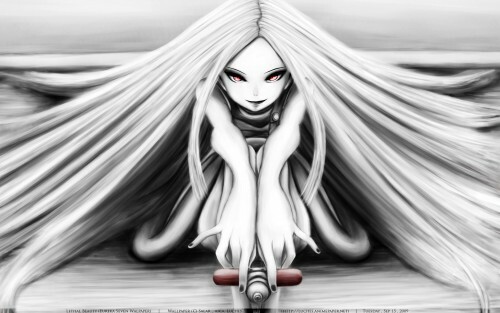 I love Anemone, in this picture she looks really... evil =D. Very Unique style you have with this vectors. It's simply beautiful! I like this style.